Welcome to Smoky Views! 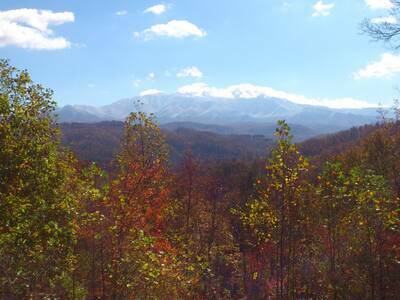 This 3 bedroom, 2.5 bath Smoky Mountain cabin rental offers breathtaking views, great amenities and fabulous features. As soon as you enter this spectacular cabin rental, you’re surrounded by a soothing natural wood interior and wonderful attention to detail. The main level living room provides you and your guests with deck access, stone accented fireplace, huge flat screen TV and comfy furnishings and décor. Located just off of the living room, you will find the spacious fully equipped kitchen and dining area. With stainless appliances, ample counter space, and all of the utensils you’ll need to prepare a delicious meal, you may decide to eat in every night of your stay at Smoky Views. Additionally, there’s a half bath between the kitchen and living room for added convenience. 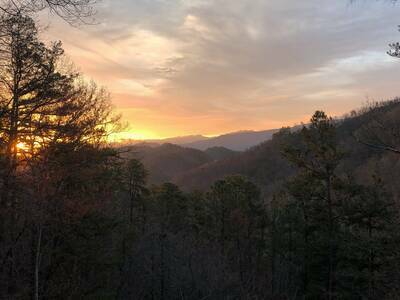 Located on the main level of this gorgeous Smoky Mountain cabin rental, you will find a breathtaking king suite bedroom with a full private bath. Head up to the second floor of Smoky Views and you’ll enter to the enormous game room with sitting area, pool table, flat screen TV and two walls of windows framing the beautiful Smoky Mountain view. Upstairs there are two luxurious bedrooms. One has a king bed and the other, a queen bed. In between the bedrooms is a large full bath with an oversized walk-in shower. Outside at Smoky Views, you’ll love relaxing on the wrap around covered deck. Grab a seat in the porch swing, or take a seat in one of the rocking chairs. If you’re in the mood for total relaxation, you'll definitely want to go for a dip in the bubbling outdoor hot tub. With it’s sensational mountain view, beautiful décor, and fantastic amenities, your stay at Smoky Views will be one that you’ll forever cherish. Reserve your stay here today! A: This unit is not a high elevation area, SUV should be fine. A: Hi Kathey ! 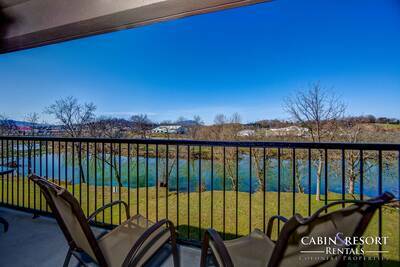 It is located approximately 15-20 minutes to downtown Pigeon Forge. A: Smoky Views has a 4 person hot tub. A: Hi Tonja! No, Smoky Views is located in The Oaks in Sevierville. A: Hi Glenda! No, this property is not pet friendly. “ We loved, loved, loved the cabin, everything was perfect!!! No complaints, and we will definitely be back for another visit!!!! “ Loved the Smoky Views cabin! The only problem we had is that we didn't want to leave! We can't wait to visit again soon! “ Smoky Views is the perfect name for this cabin. The mountain view is AMAZING! We really loved having a main floor bedroom and the kids liked being upstairs near the game. It was nice to relax in the hot tub after a day out in town. “ Great place to stay! “ My family and I had the best time at the cabin. Waking up in the morning and looking out into the mountains was something special. We're all already planning our next cabin vacation. Thank you! “ We've staying in a lot of cabins in the Smoky Mountains, but this one was by far the best. Everyone had enough space and the kids loved the pool table and large yard. Check-In and Check-Out were a breeze! 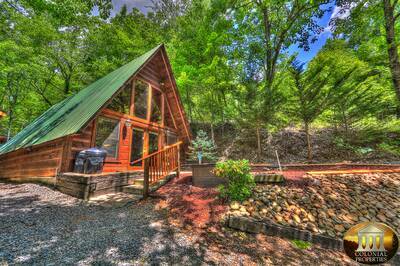 “ The cabin we rented was spacious and comfortable and included a pool table and hot tub. We were there for a Girls weekend and really enjoyed our stay! Location was peaceful with beautiful views and also close to restaurants and shopping. Comfortably slept up to 8. Would definitely book this again! “ This was our first time staying in a cabin and we'll never not stay in one again. Thanks for sharing your beautiful cabin with us! 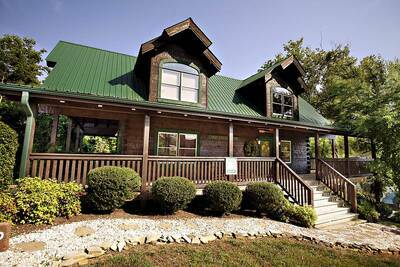 “ We had a great weekend getaway mini-vacation and retreat at this cabin! 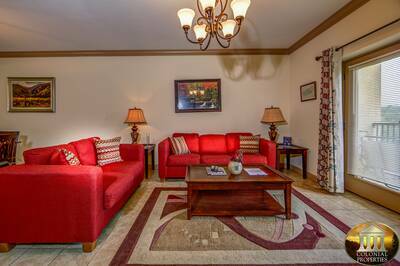 Fully equipped with all the comforts of home plus more!! A great bargain and the views are purely heaven. We did have a couple of minor issues that came up through the weekend and an agent/repairman came out within 2 hours of a call being made, and repairs were done!! We will be back!! “ It was just an awesome experience! Beautiful cabin!